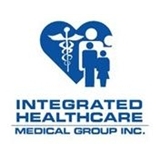 Integrated Healthcare Medical Group, Inc. (Los Angeles) - Book Appointment Online! Integrated Healthcare Medical Group, Inc. Integrated Healthcare Medical Group, Inc. physicians have proudly served the South Bay and Los Angeles communities for many years. These offices are conveniently located and are accessible by public transportation. Integrated Healthcare is staffed with Board Certified physicians that are credentialed with most major insurance companies. Our offices offer comprehensive and personal healthcare services for you and your entire family We have been your community healthcare providers for over 30 years. We accept all major insurances; Private, Medicare, Medi-Cal, Industrial Medicine (Workers’ Compensation, Personal Injury and Immigration). Our team of primary care physicians and specialists make our clinics a “one stop” facility to meet all of your needs.